Series 8 - Episode 3 - Quiet life in suburbia takes a dark turn when a woman is found murdered. Series 3 - Episode 3 - Vera and team investigate the death and troubled background of an extreme sports fanatic. Series 8 - Episode 2 - A popular member of a coastal community is violently and deliberately run off the road. Series 3 - Episode 1 - DCI Vera Stanhope investigates the brutal murder of a young physiotherapist. Series 2 - Episode 4 - DCI Vera Stanhope and DS Joe Ashworth investigate a suspicious death in an army barracks. 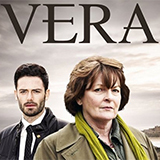 Series 2 - Episode 3 - DCI Vera Stanhope investigates the murder of 29-year-old Niall Coulter. Series 2 - Episode 1 - Vera's reunion with her first-ever sergeant happens under tragic circumstances.